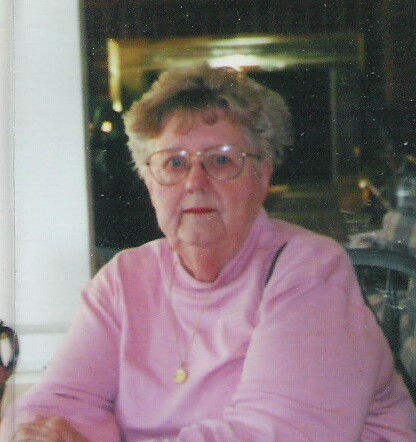 Julie Marie Miller, 93, formerly of Logansport, passed away at 7:45 p.m., on Tuesday, March 26, 2019, in her residence at Sunrise on Old Meridian. Born in Logansport on March 25, 1926, she was the daughter of Neil and Ada Sales McLochlin. She was married in Logansport at St. Joseph’s Catholic Church on September 23, 1946, to her high school sweetheart, the love of her life, and best friend, Raymond E. Miller, Jr. He preceded her in death on June 2, 1993, after 47 years of marriage. She was a 1944 graduate of Logansport High School. In her younger years, she was active in the USO, loved to roller skate, horseback ride, and dance. In later years, she enjoyed ceramics, crocheting, reading, doing puzzles and coloring. She was an extremely avid reader. Surviving are sons, Patrick Miller, Nyona Lake and Neal (Cheryl) Miller, Daphne, Alabama; daughters, Stacie Miller, Logansport and Cassie (Tom) Wells, Fishers; nine grandchildren, twenty great grandchildren, and two great-great grandchildren. Also preceding her in death were infant daughter, Dorinda Miller; infant grandsons, Brandon and Brody Shanks; great grandson, Sean Shanks; and son-in-law, Steve Shanks. The Mass of Christian Burial will be celebrated at 12:00 noon on Friday, March 29, 2019, at All Saints Catholic Church, with Fr. John Ford, CSC officiating. Visitation will be from 10:00 a.m. to 12 noon on Friday in the All Saints Parish Hall, prior to the Mass.